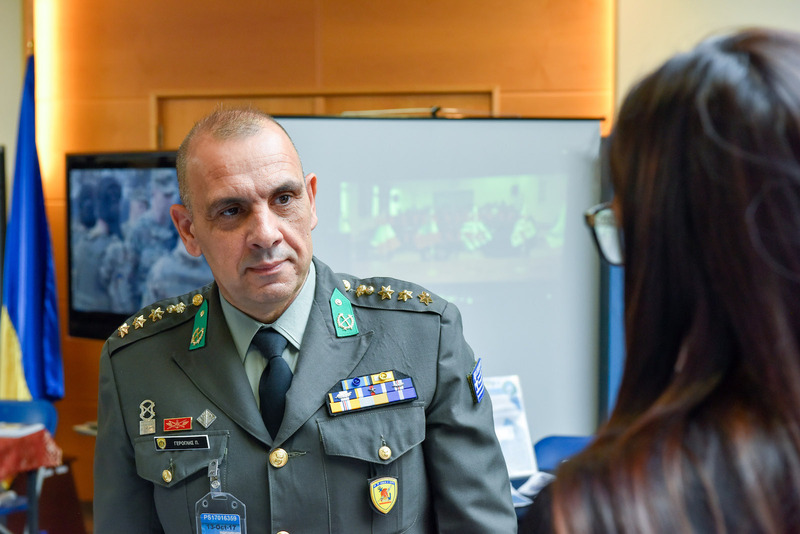 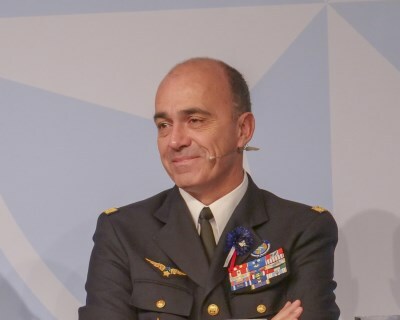 Lieutenant General Jan Broeks, Director General of NATO's International Military Staff, and Ambassador Alejandro Alvargonzález, NATO Assistant Secretary General for Political Affairs and Security Policy, addressed the 2017 Partnership Training and Education Centres Marketplace in Brussels, Belgium, October 12. 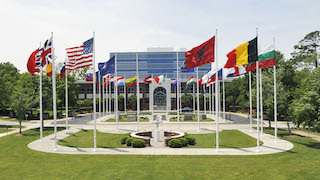 Comprised of thirty-one centres based in twenty-five NATO and partner countries, the Partnership Training and Education Centres play an essential role in supporting NATO’s objectives for partnership with non-member countries: they offer courses and academic seminars to both military and civilian audiences; they provide platforms for exercises and training of an operational character, including in preparation for deployment to NATO operations. 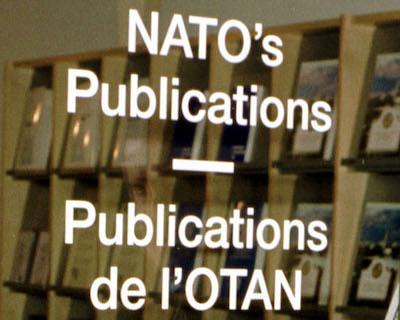 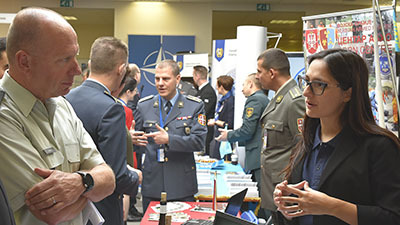 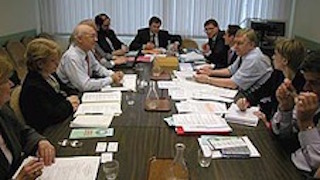 The centres have also been proactively participating in NATO initiatives to harness interoperability by conducting targeted Mobile Education and Training Teams, by providing Subject Matter Experts in support of NATO’s partnership programmes, and by contributing multinational education and training activities to the Partnership Cooperation Menu in a variety of critical Areas of Cooperation, including Lessons Learned, Language Training, Crisis Management, Law of Armed Conflict, Democratic Control of the Armed Forces and Defence Structures and Gender Perspectives, Peace and Security. 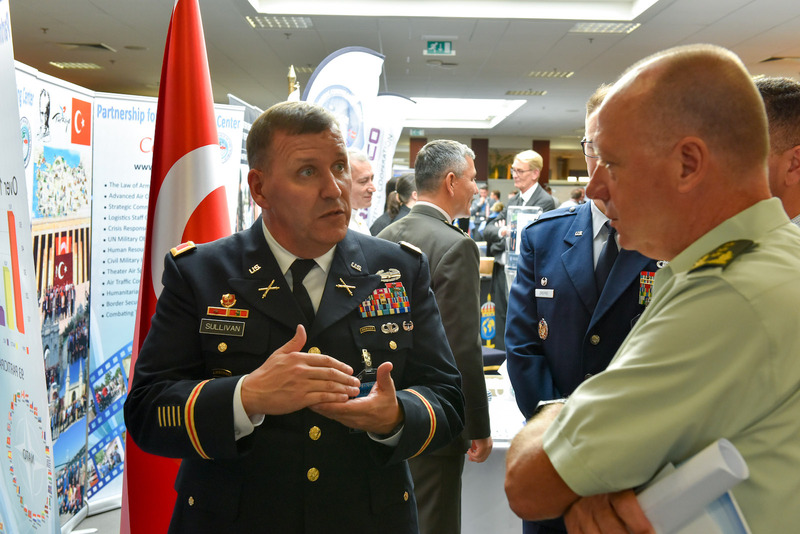 NATO School Commandant, U.S. 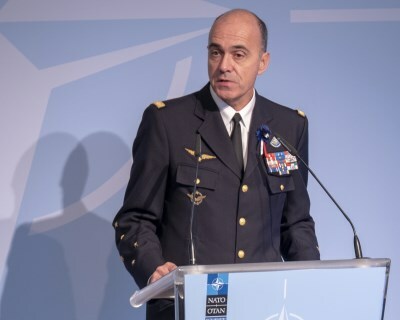 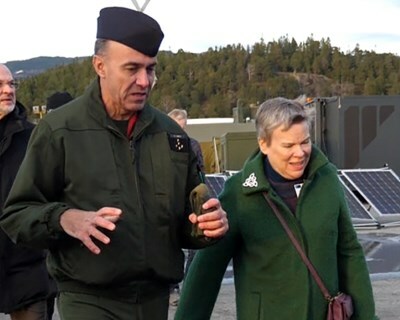 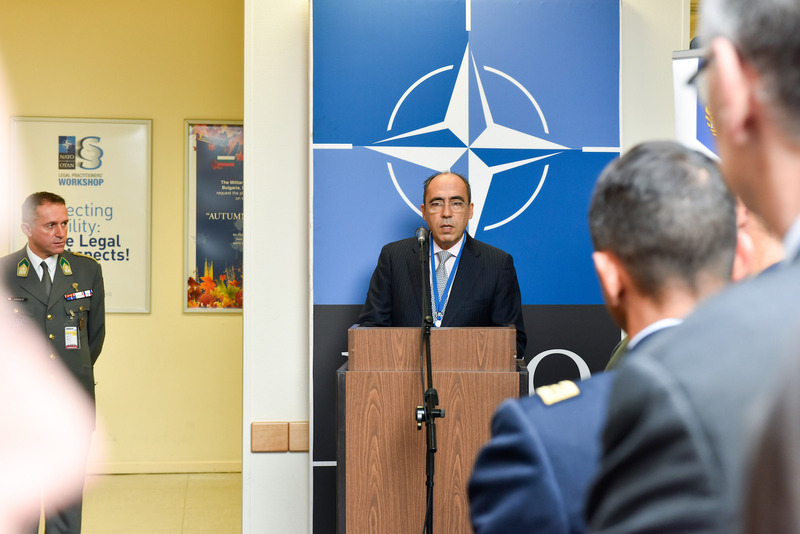 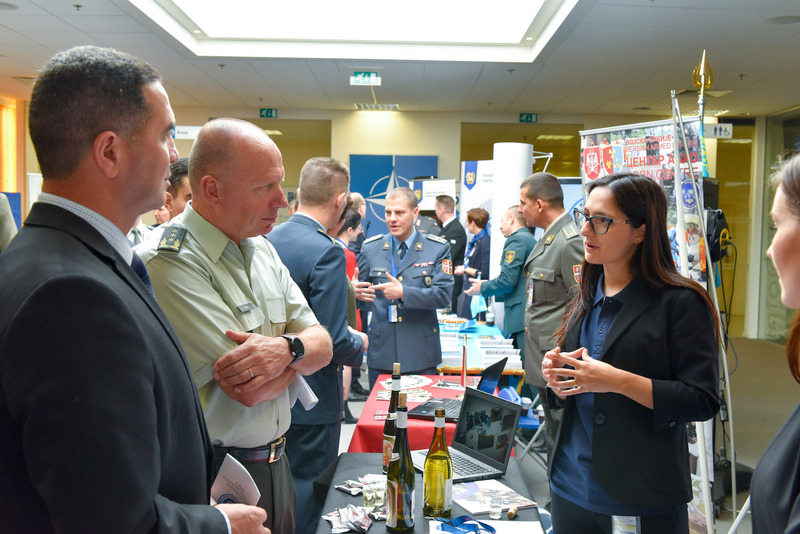 Colonel Timothy E. Dreifke and Supreme Allied Commander Transformation Representative in Europe, Brigadier General Eduard Simion, opened the event, welcoming representatives from twenty-four of these training centres and the NATO School Oberammergau. 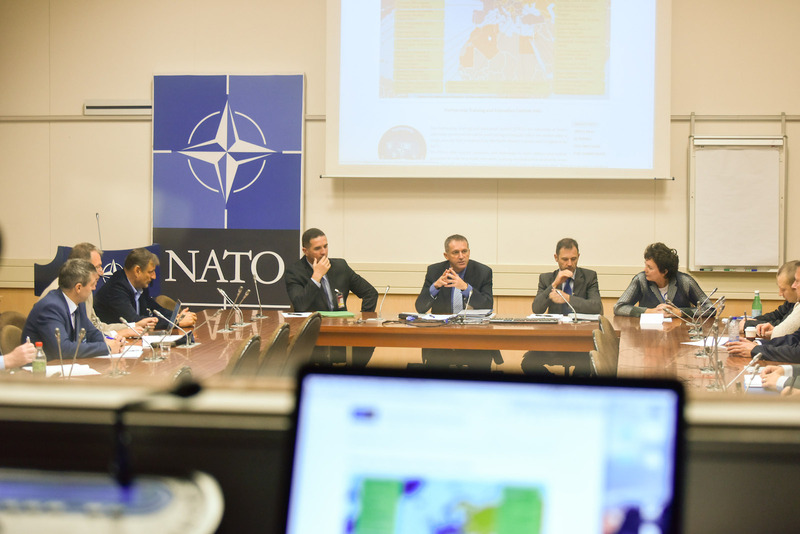 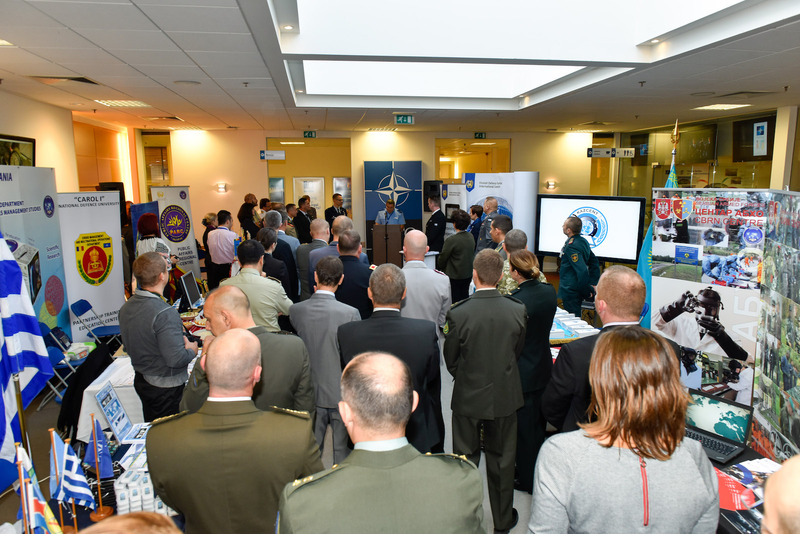 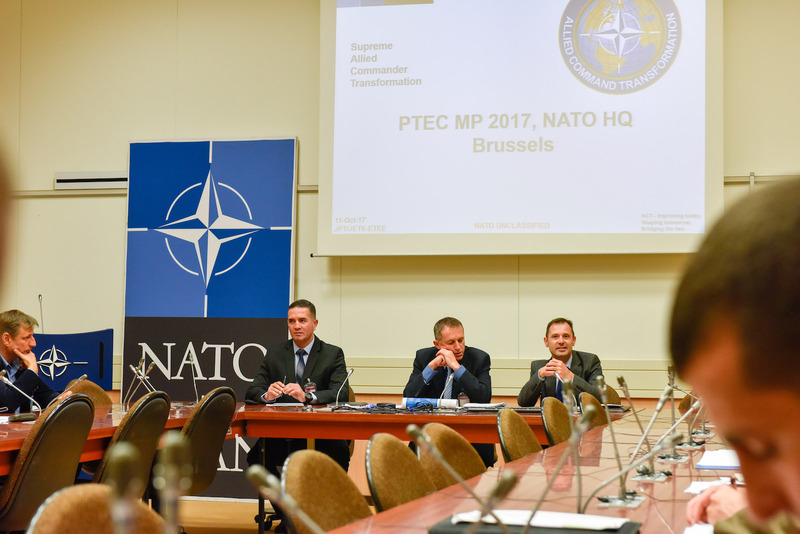 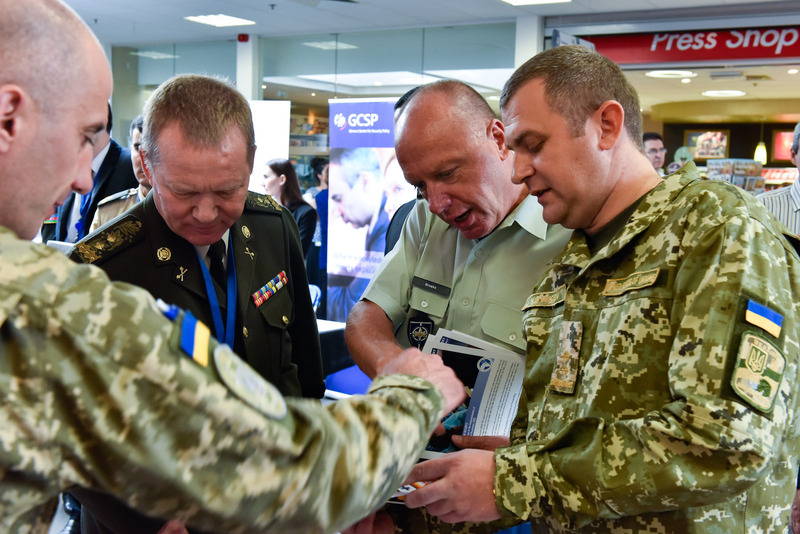 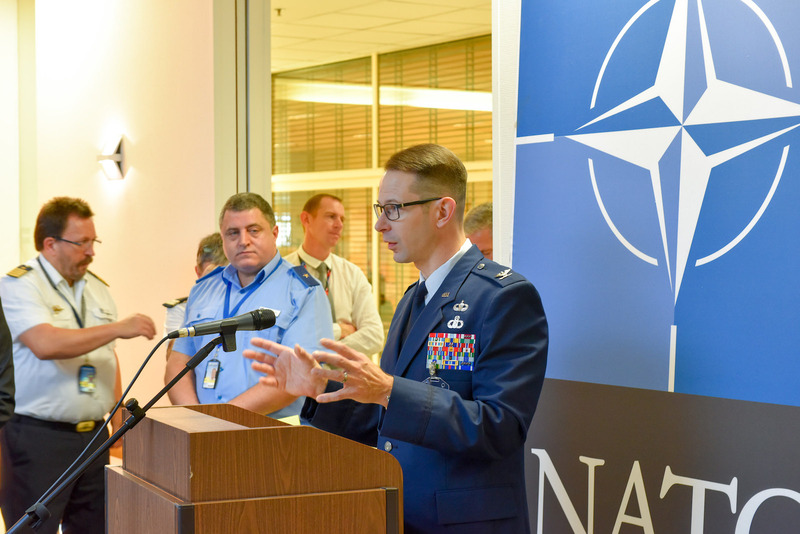 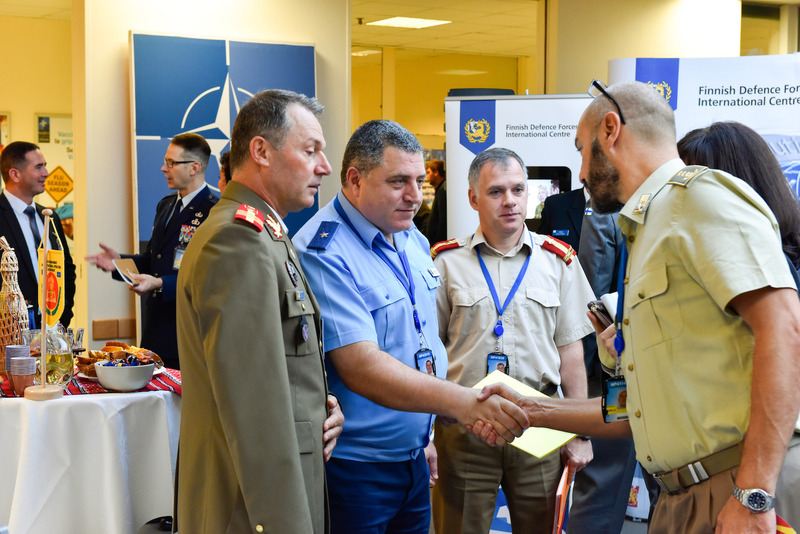 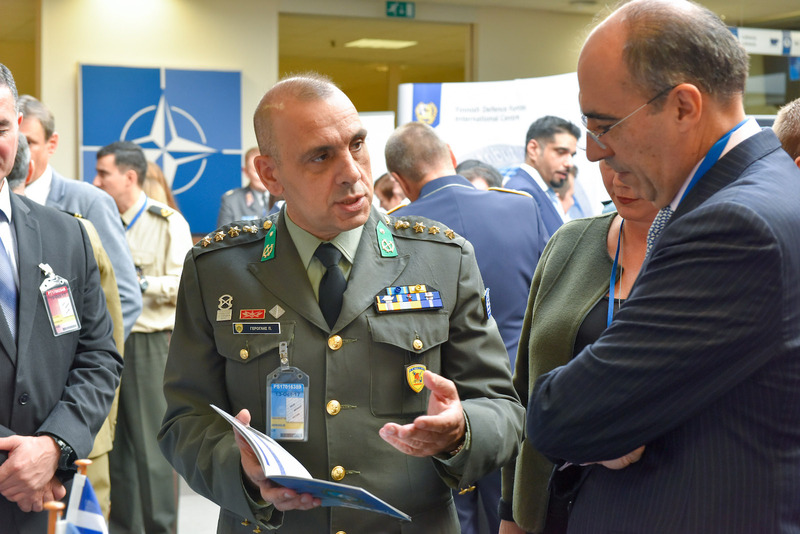 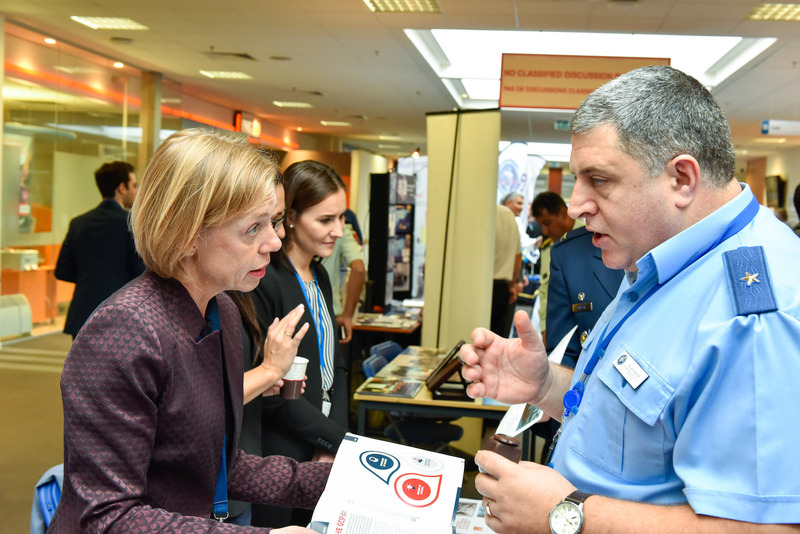 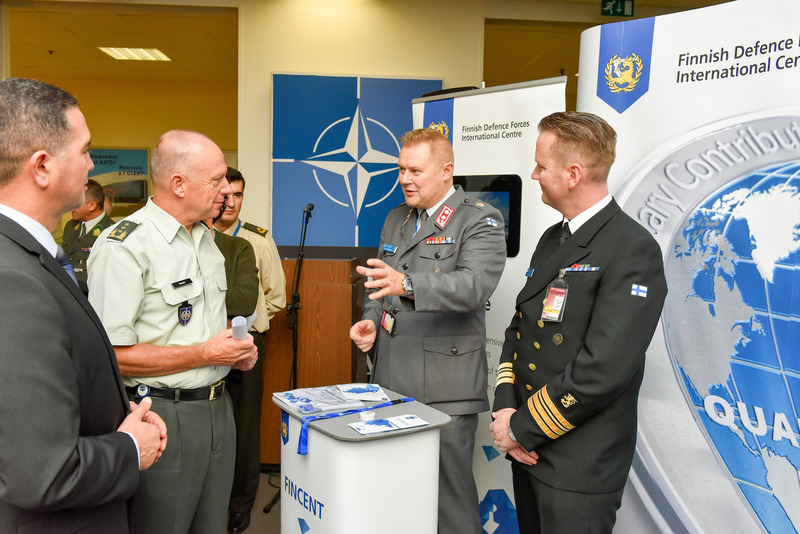 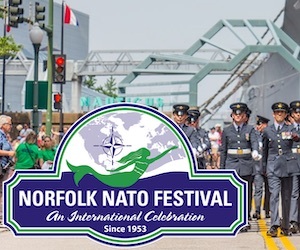 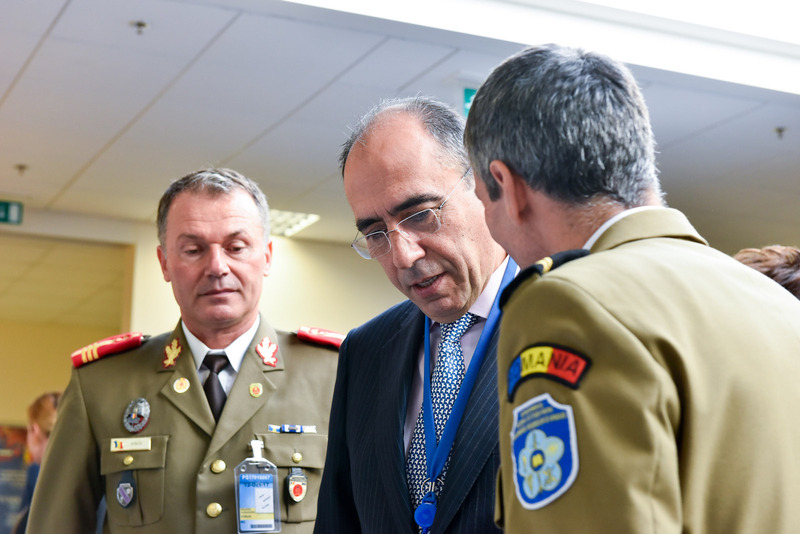 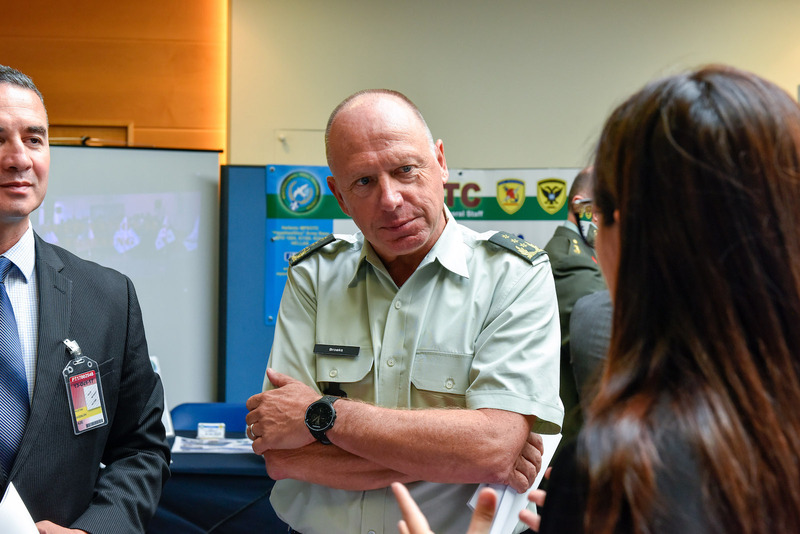 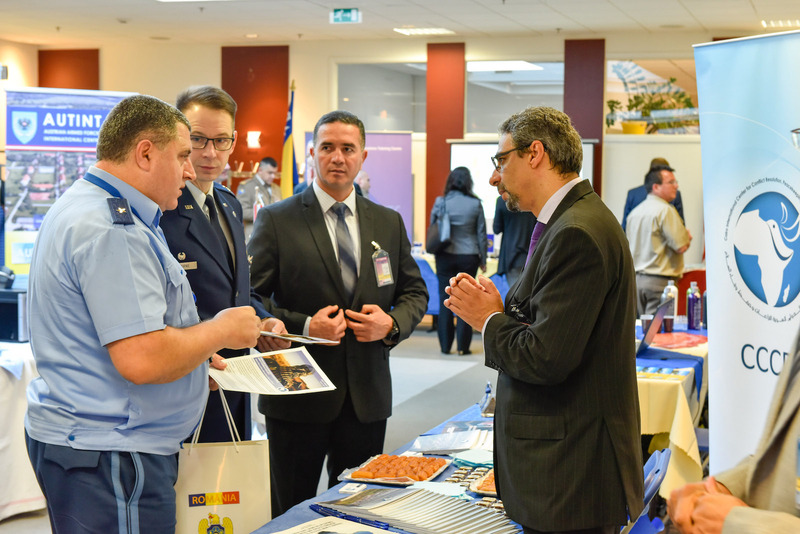 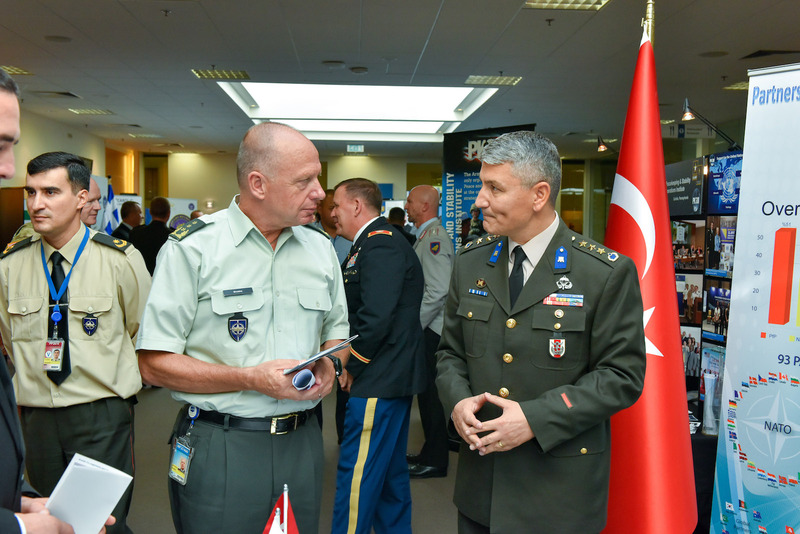 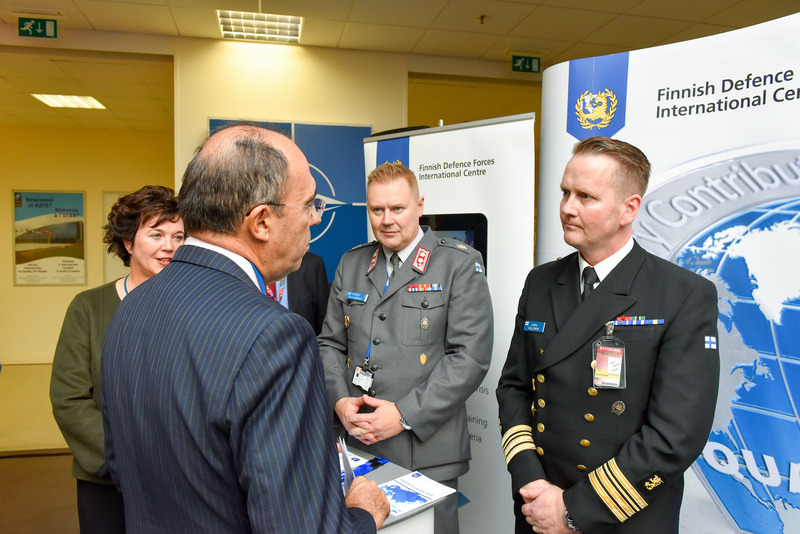 These representatives came together at NATO Headquarters to introduce themselves to the wider NATO community, presenting their course guides and the overarching missions of the respective centres in the annual Community event known as the “Marketplace”. 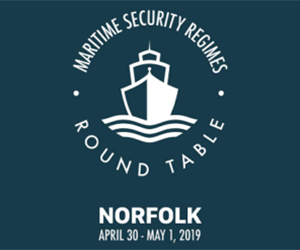 This event also allows to exchange expertise and to forge new links, discuss further synergies and new courses, while also attracting more members to the network, which in turn helps to connect allied and partner forces by collaborating on training expertise. 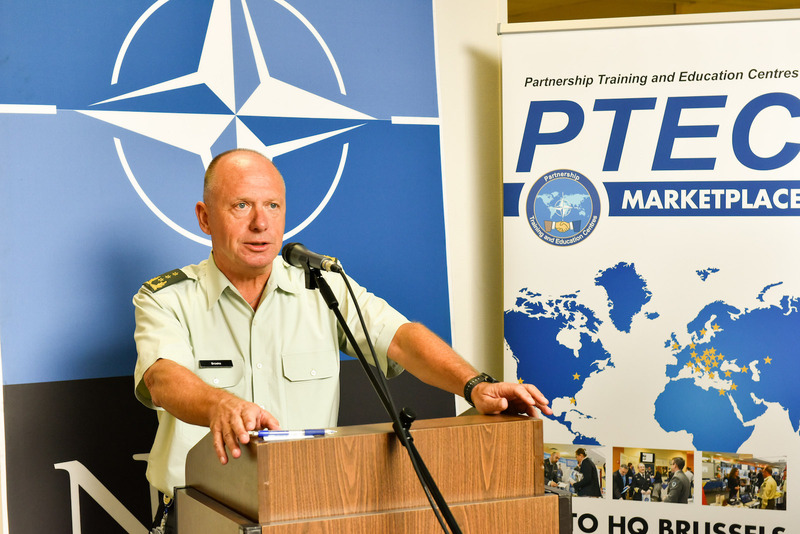 Click here to learn more on the Partnership Training and Education Centres. 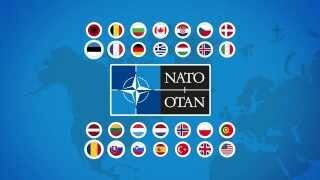 * - Turkey recognizes the Republic of Macedonia with its constitutional name.